Soup – 8 of the best. Soup is such an amazingly versatile meal, don’t you think. What a tasty way to get a power pack of healthy delicious whole food. 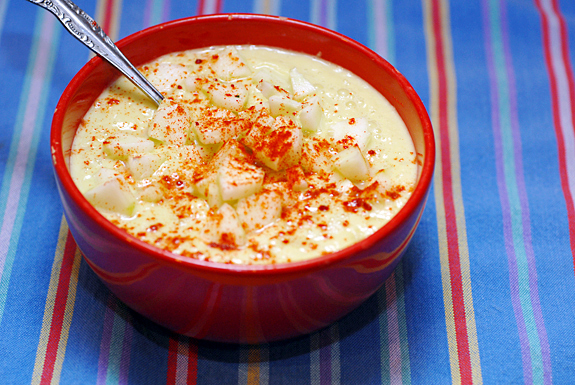 Serve it hot as a winter comfort food or cold as a refreshing summer lunch. The first chilly soup is a delightfully refreshing explosion of summer flavour from Elana’s Pantry. Full of creamy avocado, crunchy cucumber and the sharp taste of onion and the after burn of chilli. 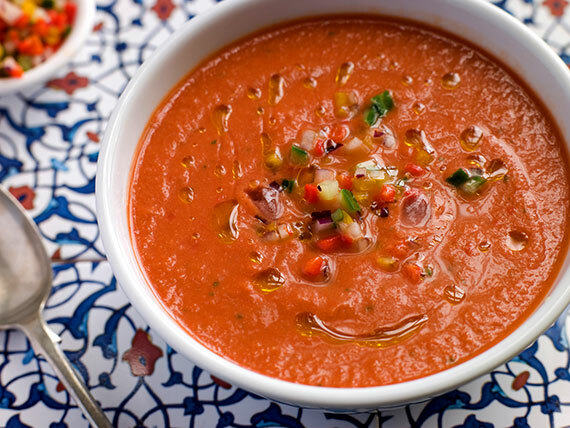 Gazpacho was the very first chilled soup I have ever tasted. On a very hot summers day, it was a surprising experience but after a few spoonfuls I was totally sold its deliciousness. So, thanks to Irene over at Eat Drink Paleo, for her sacrifice of having to eat her way around Spain to bring us a delicious recipe! 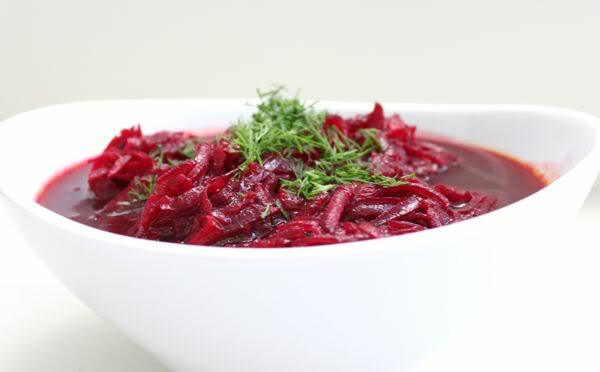 This unusual Beet Soup from Marks Daily Apple looks totally stunning. Marksdailyapple.com is my go to for all things LCHF Primal Living. Of course the recipes are the icing on the cake – as it where! 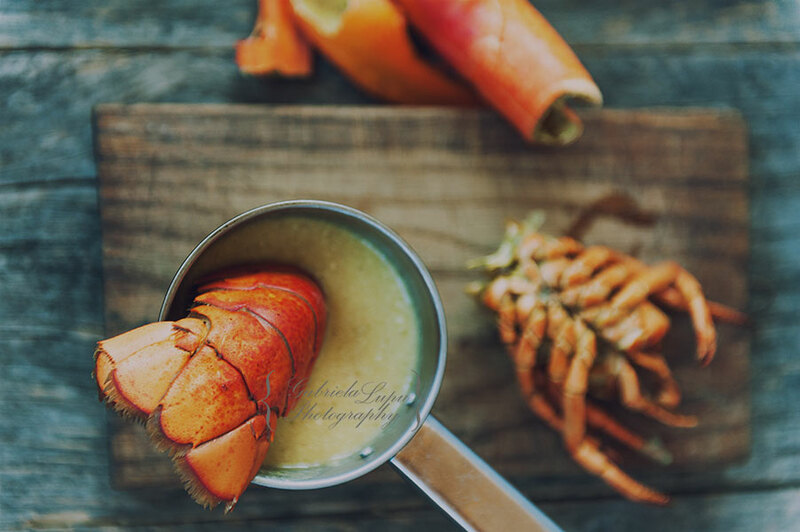 My first taste of Lobster Bisque was at Quincy’s Market in Boston. From the first mouthful I fell in love with the creamy, spicy taste. So big thanks to Cooking without Limits! 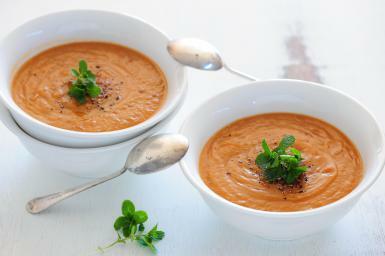 The blend of sweet potatoes, garam masala and coconut milk gives a creamy, aromatic flavour to this soup. Garam Masala is like curry powder, a spice mix and is used a lot in Indian cooking. Thanks to Australianfood.about.com. No soup collection is complete without chicken soup. It is perfect to serve to a special someone who is not feeling the best. This recipe is super quick and very economical. It is from one of my favourite bloggers, Ditch the Grains. 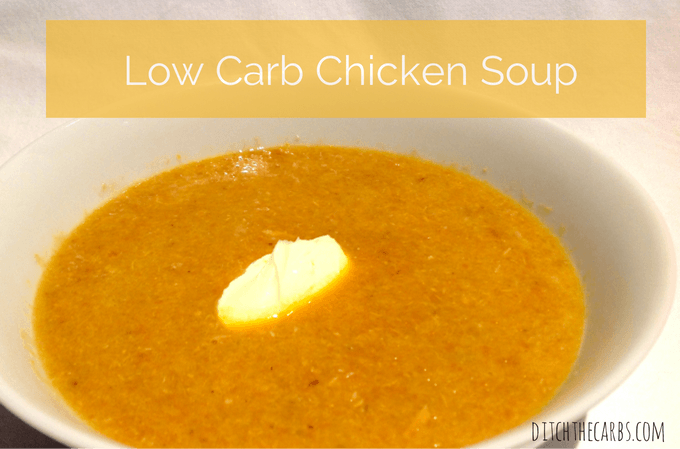 Libby has created a fantastic website heaps of LCHF recipes and resources for healthy living and this Low carb high fat Chicken soup is delish. 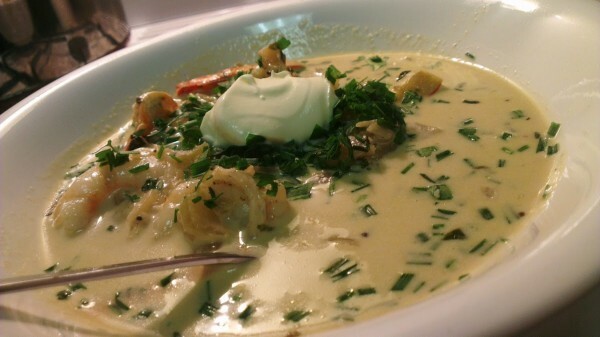 Be warned, this chowder requires at least a bottle of wine! Only some actually goes in the chowder, the rest is to keep you amused while you create the soup. Oh another essential is a box of tissues as you will cry with laughter as you read the instructions from Highsteaks. What fun! 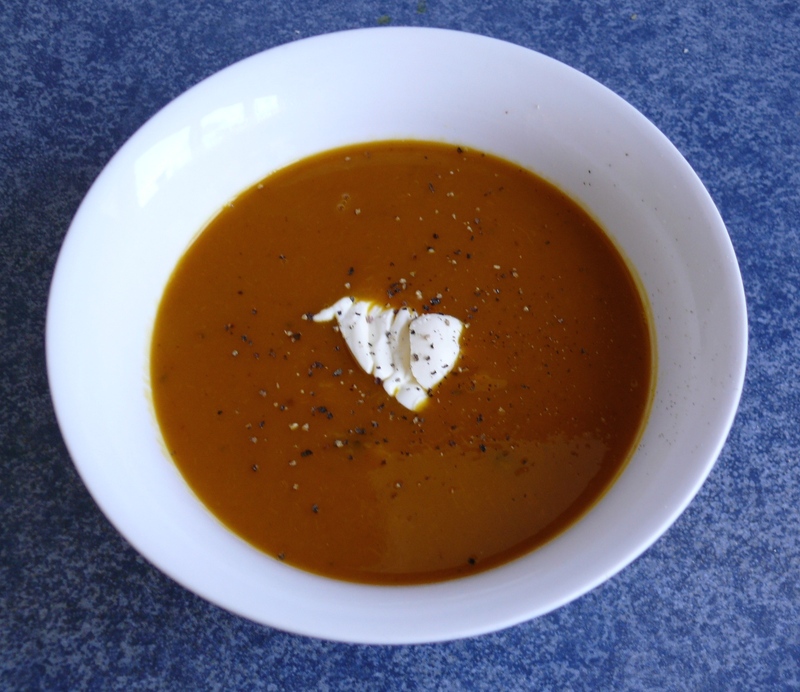 I hope you enjoy these, leave a note about or a link to your own favourite tasty soup.